The last twenty four hours has actually had a good bit packed into it. Not a bad Thursday at all (and Wednesday night actually) - but now I'm about to board a plane to have a second Thursday. (seriously, this time travel stuff is really weird.) Maybe I'll post more detail about these later, but yesterday I got doused by rain in a House of Mirrors art installation, then caught the Drums of Fire performing in the streets of Auckland. 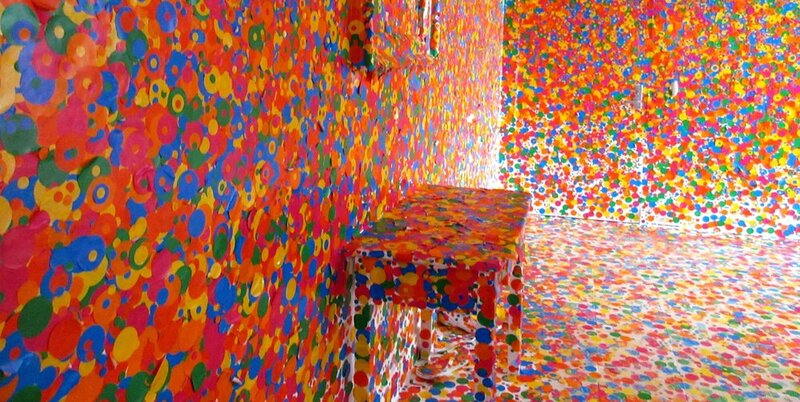 Today I popped into Yayoi Kusama's Obliteration Room (breaking my normal rule of not going to museums when traveling), followed by a whirlwind trip to Waiheke Island and back before packing up to head to the airport (where I am now, waiting on a delayed flight.) People told me not to expect too much from Auckland - that's probably a good thing, because maybe those low expectations helped make it a great experience. You should go.